Mr. Taylor was one of 25 people with firsthand knowledge who were in New York to speak with HBO and Alex Gibney about allegations in the film. But Gibney shunned all of these relevant individuals with firsthand knowledge because he didn’t want to hear it. That confirmed to us what we knew from the moment we heard about Gibney’s film—it was a premeditated smear where the truth would inconveniently get in the way. So rather than talk to current Scientologists, Gibney relied on a handful of embittered zealots who have been gone from the Church an average of 14 years. Two of his subjects, including Spanky Taylor, have been gone for more than 30 years. So we knew Gibney would look the other way on any information about Spanky Taylor showing she is making it up as she goes along. We knew he would not mention that she tore up her family by having an affair with one of her clients and turned her children against her husband. We also knew Gibney would not reveal that Taylor remained a Scientologist for seven years after leaving Church staff and raised her children with her husband until that time. …I understand that Spanky is now trying, through the media, to revise history and create a false picture that Vanessa had been mistreated while in the care of the Church nursery, and by way of implication that I was not doing my job as her father to protect and care for my daughter. Vanessa was well cared for, fed regularly, changed regularly and had constant care by the attending nanny, who reported to me daily how she was doing. I never observed that she had been mistreated in any way. Quite the contrary Vanessa had excellent care and I made certain this was the case as her father. 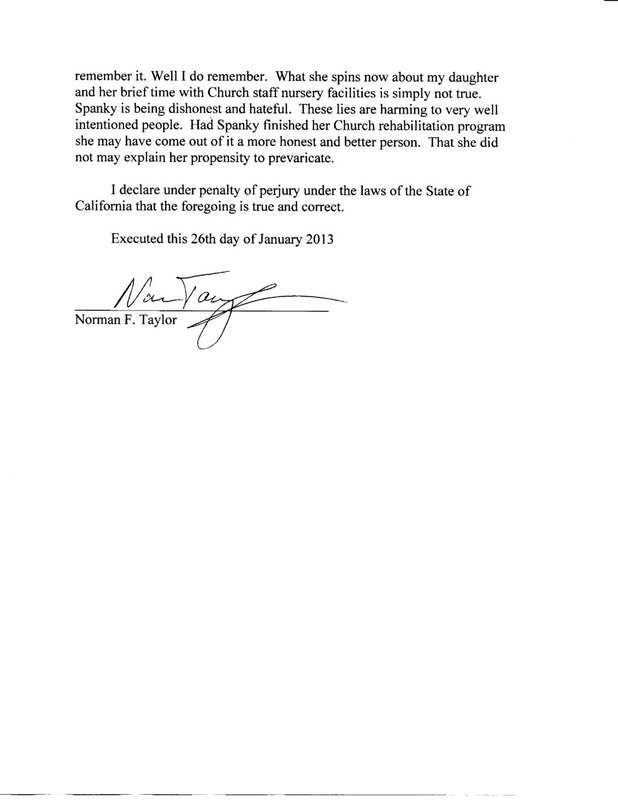 For Spanky to state otherwise is an insult and a false statement of fact. 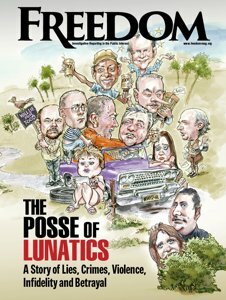 Furthermore, Spanky Taylor made other false claims to HBO producer Lawrence Wright that her unborn son was placed at risk while she was in this program, which Mr. Taylor also disputes. 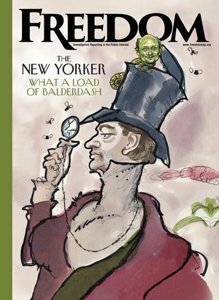 Not only did Gibney refuse to contact Mr. Taylor to verify his former wife’s allegations, he refused to see him when he came to New York. If he had met with Mr. Taylor, he would have heard not only that the tales she told about her children were false, so was the drama about having “escaped” from the Church. Gibney instead recreated an incident that never happened. There was no “prison.” There was no “escape.” The film is only Gibney’s propaganda. The true story is that Taylor chose on her own to no longer participate in the voluntary Church program, which was aimed at helping her stop lying about celebrities. Nonetheless, she remained a practicing Scientologist for seven more years. That was 30 years ago. It is apparent from the queries posed that Silvia “Spanky” Taylor is likely a source for much of the material (e.g., Nos. 17-41). 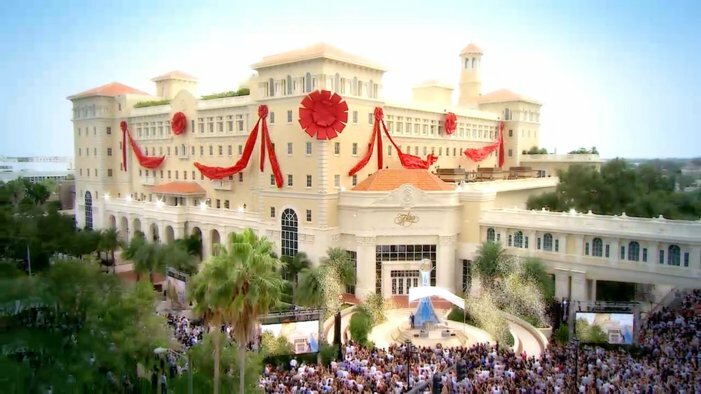 In view of her very vocal animosity and hostility towards the Church of Scientology, there are obvious reasons to question her reliability as a source for information pertaining to my clients which directly or indirectly involves Scientology. 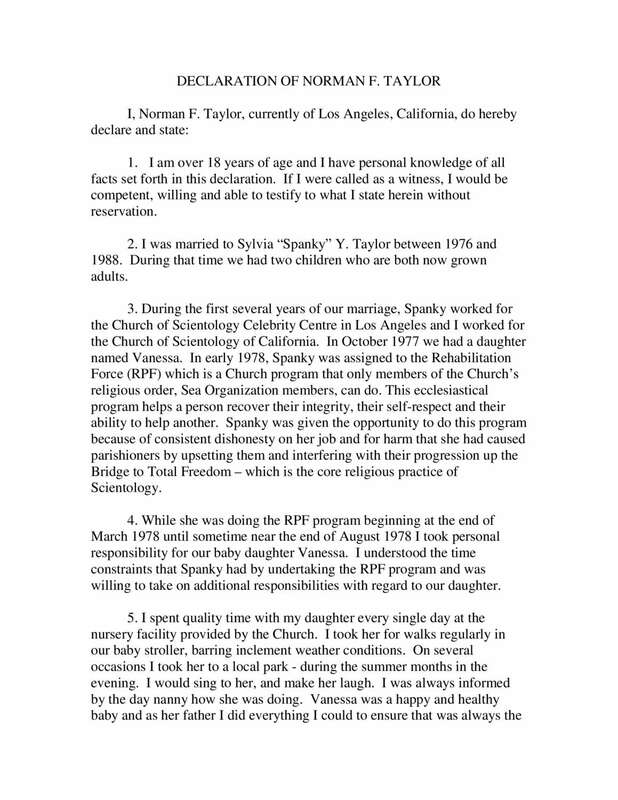 Various statements concerning Spanky Taylor, such as those pertaining to Mr. Travolta allegedly loaning his personal copy of Saturday Night Fever for a Church screening as a purported quid pro quo for seeing Spanky Taylor (e.g., Nos. 17-19 and 22-23), are untrue. This necessarily casts doubt on the remainder of the information for which Spanky Taylor is a source. Even though Wright had been on notice of the falsity of the claims of Spanky Taylor since at least October of 2012, he included them in his book anyway. So did Alex Gibney, who was fully aware that Wright had been put on notice. 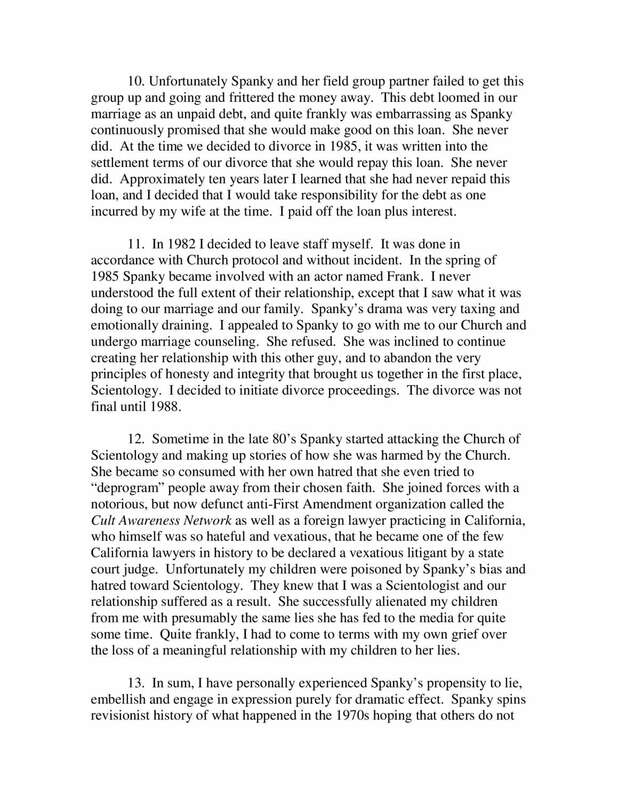 Spanky Taylor is no source about the Church. Not only was she removed from her staff position in the Church in 1978 as unqualified, she was expelled from the religion three decades ago for illicit activity. She involved herself in “deprogramming” activities of the former Cult Awareness Network (CAN)—a group which was exposed for illegal activities. Its members were prosecuted and convicted of assault, battery and kidnapping. The entire network was composed of criminals and their activity (i.e., “deprogramming”) was ruled illegal. Having broken up her own family, Taylor turned to breaking up other families through her “deprogramming” efforts. CAN declared bankruptcy in the face of a multimillion dollar civil judgment for such criminal activity and closed its doors in 1996. Spanky Taylor undermines the credibility of your film. She is an interconnected part of the small clique of anti-Scientologists who were expelled for malfeasance. Like other Gibney sources Marty Rathbun, Mike Rinder and Hana Whitfield, they seek to enrich themselves by attacking the Church and have participated in delusional, failed plots to take over the Church to get their hands on parishioner funds. This is Taylor’s crew. Her former housemate is Tom DeVocht, another source in Gibney’s film who was expelled from the Church for financial misconduct and exposed as a pathological liar. It has since been revealed that he was a co-conspirator with Rathbun and Rinder in suborning perjury and obstruction of justice. Like these and the rest of Gibney’s sources, Taylor has no shred of credibility. Taylor is nothing more than another member of the same small group of fringe anti-religious hate zealots. After three decades, she still can’t get over her bitterness and move on with her life.